If ‘garden bowl’ makes you think of tucking into a big bowl of healthy then you’re on the right track with this sumptuous supper! With pre-marinated honey soy tofu and crunchy black sesame seeds, this hearty and filling outing will prove that wholesome food is still big on flavour. To prepare the ingredients, slice the boy choy and cut it and the zucchini on a diagonal. 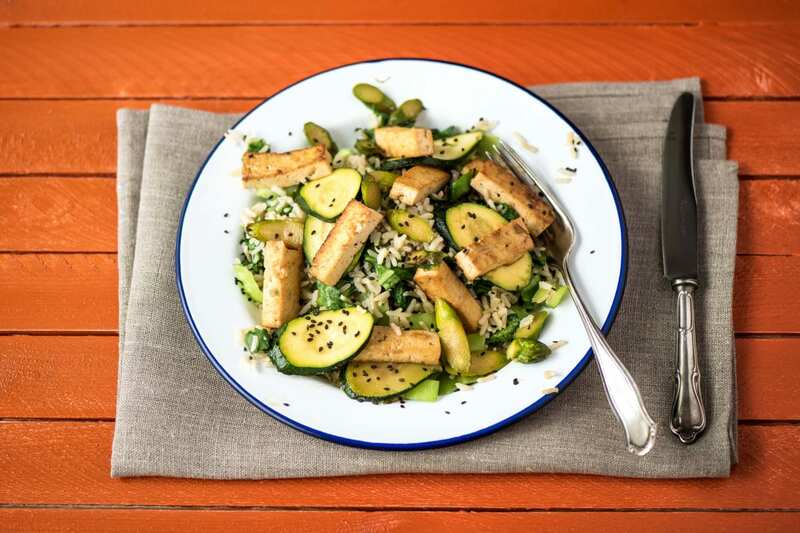 Cut the tofu into strips. Peel and crush the garlic, and peel and grate the ginger. Very finely slice the red onion and trim the green beans. Place the brown rice into a sieve and rinse it with cold tap water until the water runs clear. Place the rice and the water in a medium saucepan and bring to the boil over a high heat. Reduce the heat to medium and simmer, uncovered, for 25-30 minutes or until the rice is soft. Add the bok choy in the last 2 minutes. Drain. Return the brown rice and bok choy back to the saucepan, off the heat. In a medium bowl, combine the garlic, ginger, reduced-salt soy sauce, honey and red onion. Set aside. Heat a dash of vegetable oil in a large wok over a medium-high heat. Add the tofu strips and cook, stirring, for 2 minutes or until golden. Remove and set aside in a small bowl. 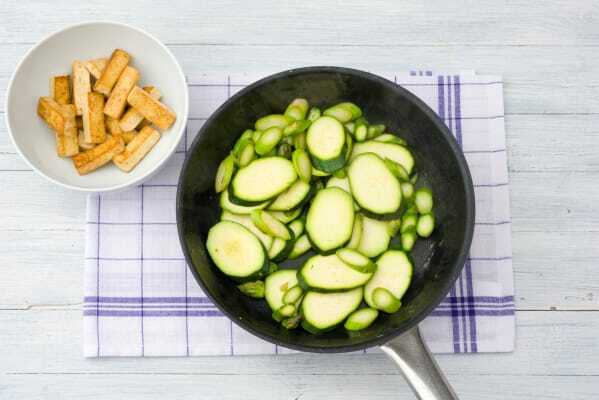 Add the zucchini and green beans and cook stirring for 1-2 minutes or until they begin to soften. Add the soy and honey mixture and cook, stirring, until the mixture begins to thicken. 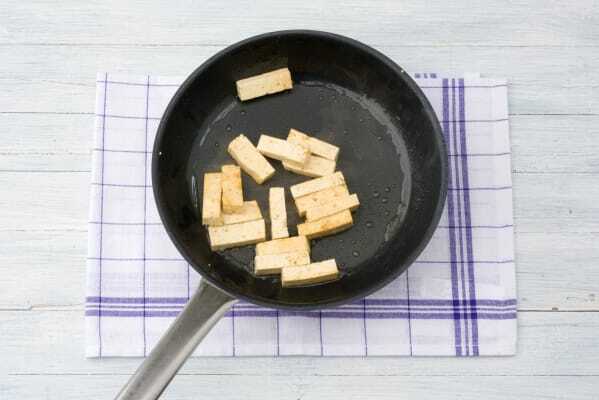 Return the tofu to the pan and cook for 1 minute or until heated through. To serve, divide the rice and bok choy between bowls. Top with the teriyaki tofu and vegetables. Garnish with the black sesame seeds.